Do you really want to do this? Check local regulations and consult your shop manual before attempting to remove the airbag. If your car is still your daily driver, you may want to think twice about removing the airbag. Size and position? 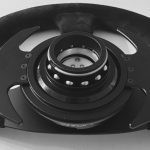 A smaller wheel can improve steering response, but may block your view of critical gauges. 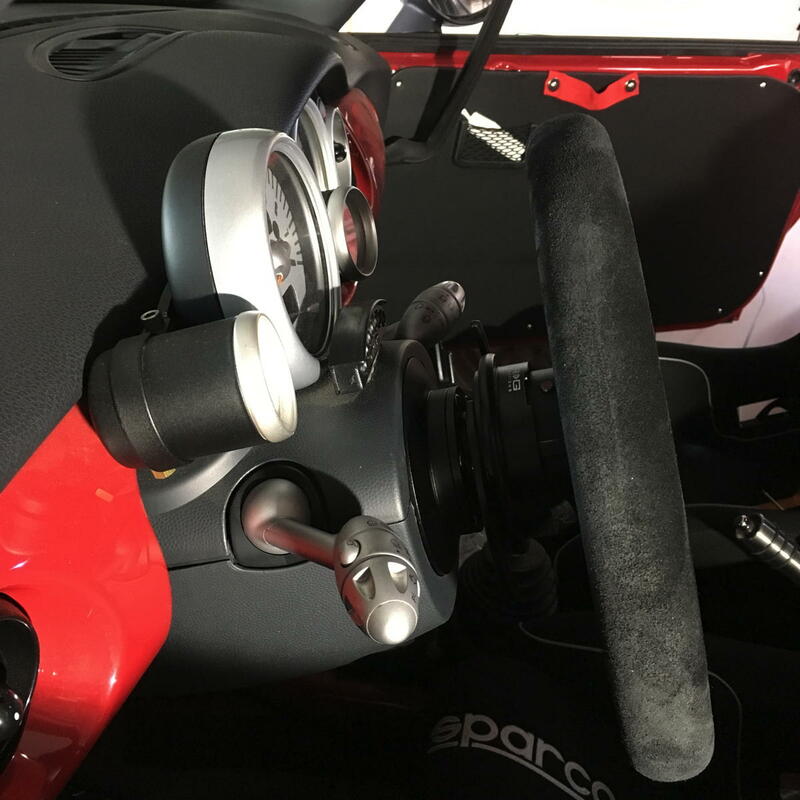 Since the Gen 1 MINI steering column only adjusts up and down, you can use the opportunity of a new hub to choose where to position your aftermarket wheel relative to the driver. Fixed or removable? A quick release can make it much easier to get out of competition seats, but most add 1-2 inches to the distance from the hub. Just having a smaller wheel (even if fixed) may make it easier to get in and out. Do you want to keep the airbag light off? Although our test car no longer has any airbags, we have retained the 3-point seatbelts and pre-tensioners since we can’t use 6-point harnesses in our state on the street. (No trailer. Yet…). So we still have the airbag module in the car so it will fire-off the pre-tensioners in an impact. 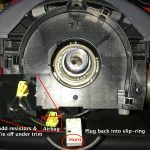 We’ve covered steering wheel removal and slip-ring replacement in previous posts, so we won’t repeat the steps to remove the airbag, steering wheel, and slip-ring here. 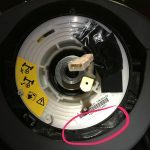 But do make sure you allow at least 15 minutes between disconnecting the battery and disconnecting the airbag so you don’t have to make an unnecessary trip to the dealer to reset the airbag light. Allow yourself a couple of hours to complete the project. We bought three hubs which are widely available and advertised to fit the MINI steering spindle. 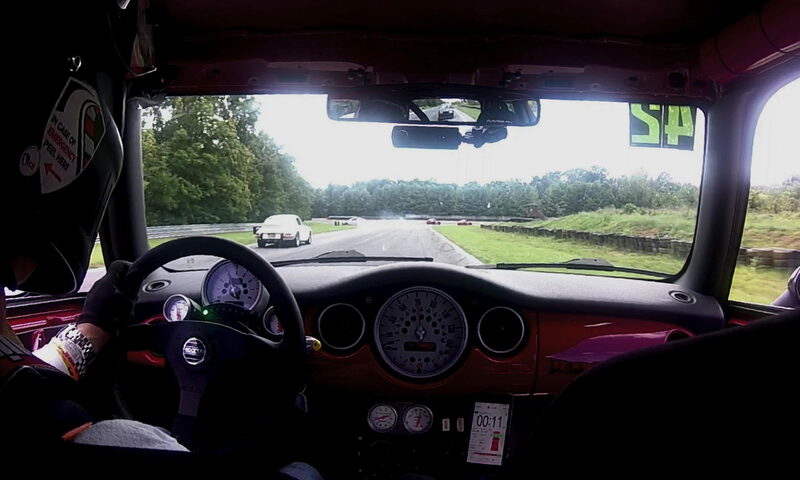 The photo shows them left to right from Sparco, NRG, and MOMO. 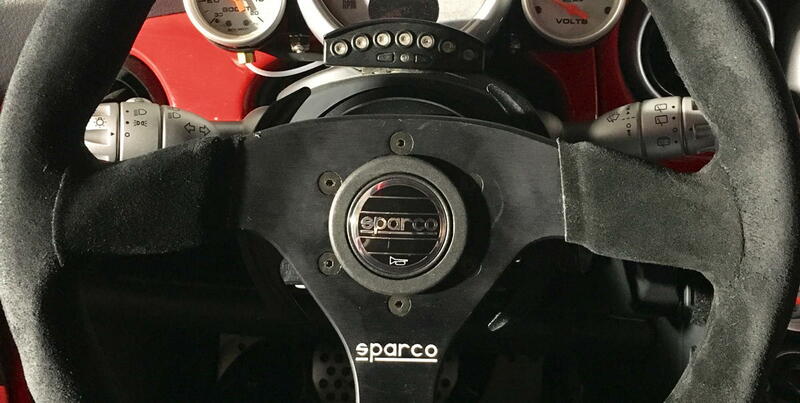 It turns out the Sparco one we got which is listed as fitting ‘MINI after 2001’ is actually for the classic Mini BEFORE 2001 (part number 015002038), not BMW MINI which is Sparco part number 01502183CA. So that left the MOMO and NRG hubs as contenders. 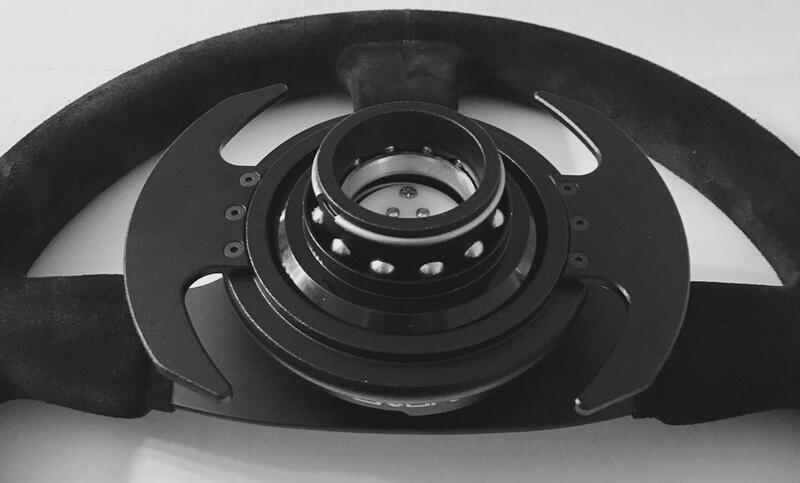 The MOMO hub is designed to place a flat wheel in the stock position. 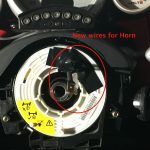 It also does not fit inside of the slip-ring eliminating the use of the horn button and turn-signal cancel function without some serious fabrication. If you want to position the steering wheel 1-2 inches closer to the driver, then use a QR. It is often advertised as being collapsible, but that’s not the case in this application. 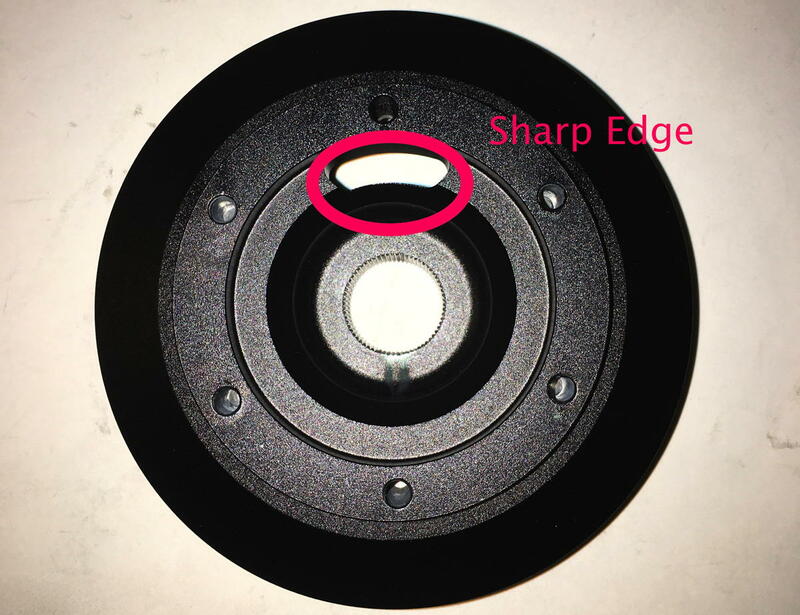 It also needs a 1/4 inch washer with a smaller outer diameter than the NRG hub. 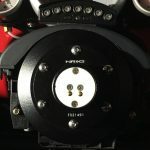 Our goal is to have a quick release wheel in the stock position with a functioning horn and turn-signal cancel function so we opted for the NGR low profile hub and quick release (QR). 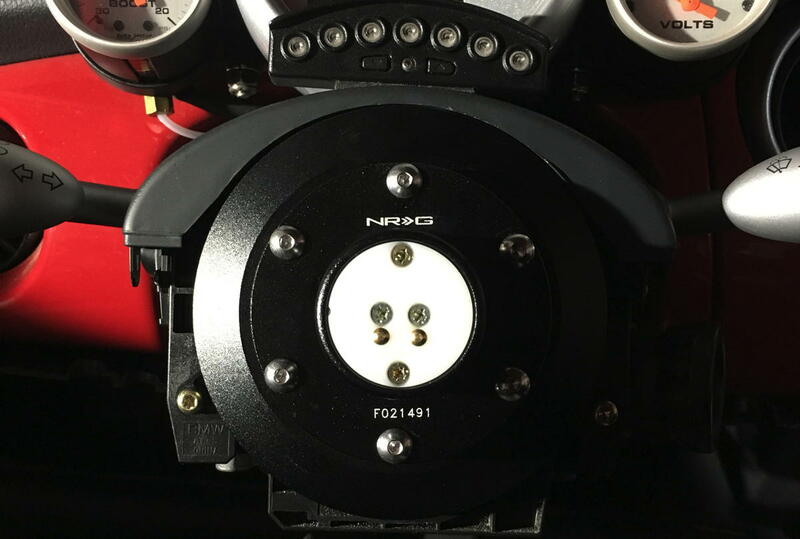 The NRG hub, however, will not fit the slip-ring out of the box — both require modification to work together. Let’s start with the easy part and fit the upper receiver of the Quick Release to the steering wheel. 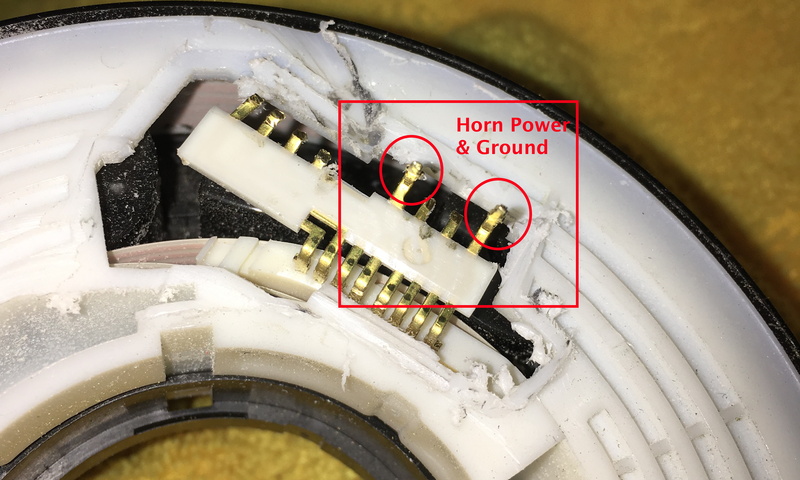 Compare the connections on the back of the horn button to the wires leading from the upper receiver and modify the connectors as needed. Bolt the upper receiver using the six hex bolts with the release catch facing up, but do not over-tighten. 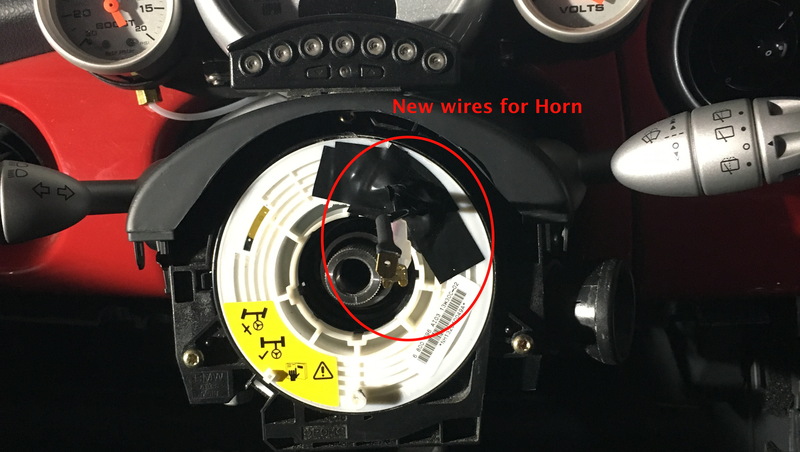 Connect the horn wires from the upper receiver and press it into the steering wheel. Set the wheel aside and turn your attention to the slip-ring. The slip-ring has a tab that fits into a slot at the bottom of the stock steering wheel at the six-o’clock position. 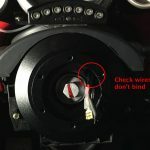 This positions the tab at the center of the slip-ring correctly to perform the turn-signal cancel function. 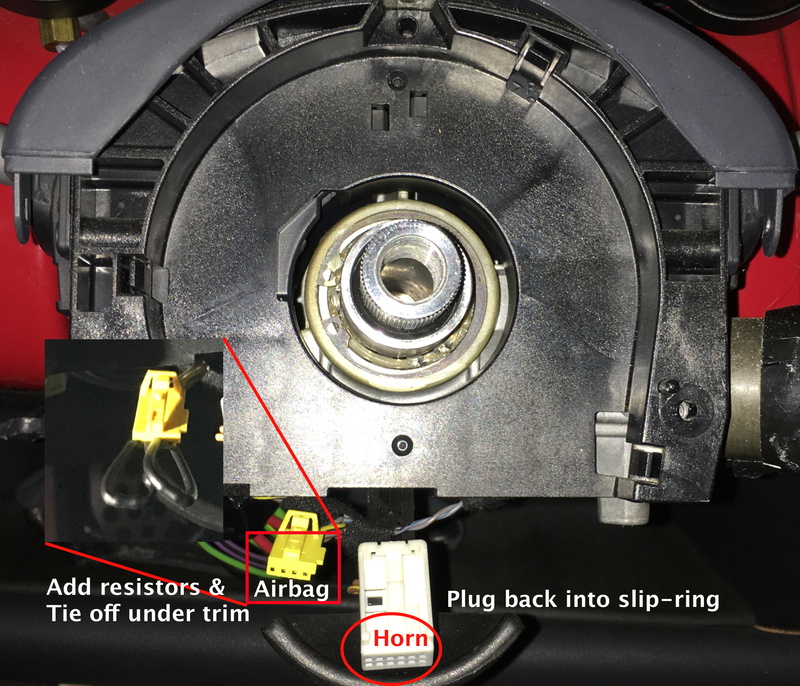 This position places the horn and airbag wiring connector at about the two-o’clock position which more or less lines up with the slot in the NRG hub. The connector and plastic protrusion on the slip-ring are in the way so we’ll remove them. Once we removed all of the protrusion, we checked the quick release lower receiver horn wires and made plug-in connectors to match. We then soldered these wires to the slip-ring and cover everything in electrical tape. 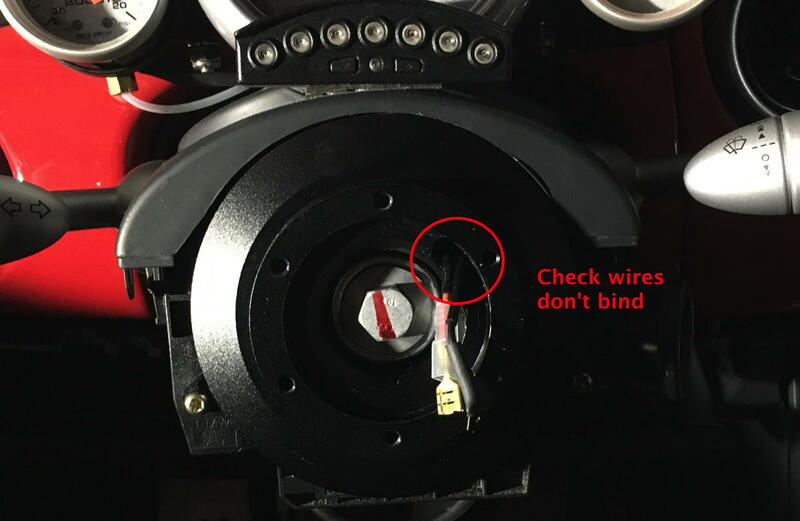 Place the wires through the slot in the hub and line up the hub and slip-ring in the correct positions and you will see where you need to modify the hub to secure the slip-ring tab. 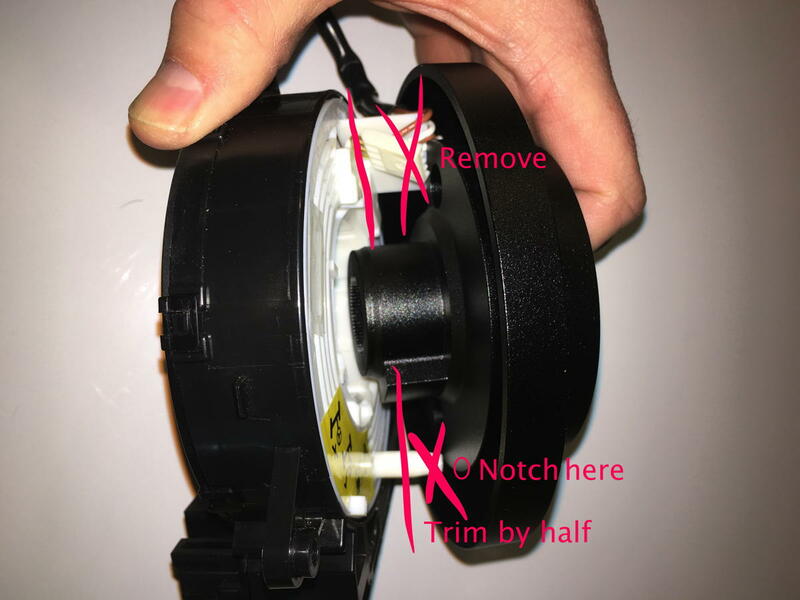 Use a Dremel to cut down the tab by half and to create a slot in the hub and that will prevent the slip-ring from repositioning once the two are installed. 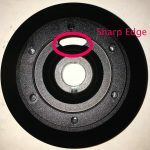 Now take a look at the slot in front of the hub and notice the sharp edge. Grind the edge down to provide relief to the wires and make sure they don’t cut through the insulation over time. Paint and then cover the edge of the slot with electrical tape for good measure and you are almost ready to install the hub. Before you install the hub, place two resistors into the airbag connector formerly plugged into the slip-ring and zip-tie it back out of the way. 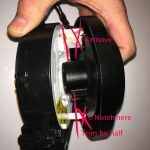 Plug the white horn connector back into the slip-ring and re-install the slip-ring on the column. 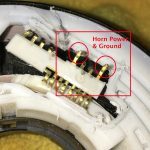 Connect the horn wires and line up the lower receiver with the hub. 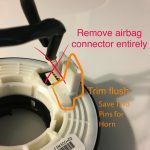 Install the six hex bolts and do not over tighten. Install the steering wheel, reconnect the battery and test the horn and turn-signal cancel. Turn the key from position 1 to position 2 to ensure the airbag light turns off. If everything works, take the wheel off and reinstall the trim. 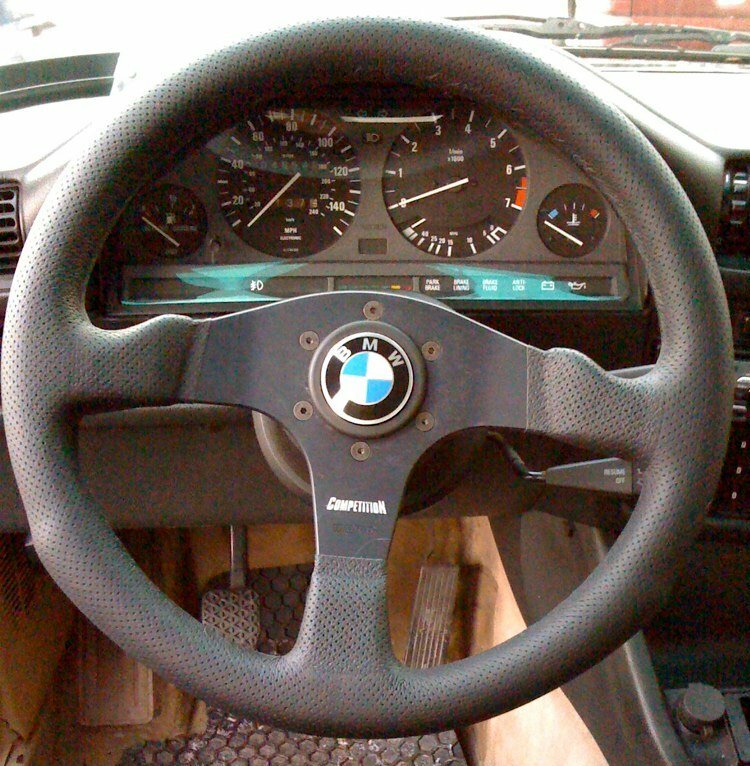 In this instance, installation consisted of a BMW hub adapter, 15mm extension ring, and competition wheel. It is quite a bit smaller than the standard BMW wheel and fairly thick.